Don't toss those pumpkin seeds! Toast or roast pumpkin seeds in your microwave in no time at all. They can be salted or spiced to suit your palate. The shells are edible and are a good source of fiber. Use this method with other seeds such as acorn squash and butternut squash. Pumpkin seeds are also known as pepitas. Microwave temperatures vary, so keep an eye on them and stir often. Of course, you can always bake them in the oven or heat them on a skillet if the microwave isn't an option. Place butter or olive oil in a microwave-safe, rectangular baking dish. Heat in microwave on high for 30 seconds. Add pumpkin seeds and toss to coat. Spread seeds out evenly in the bottom of the dish. 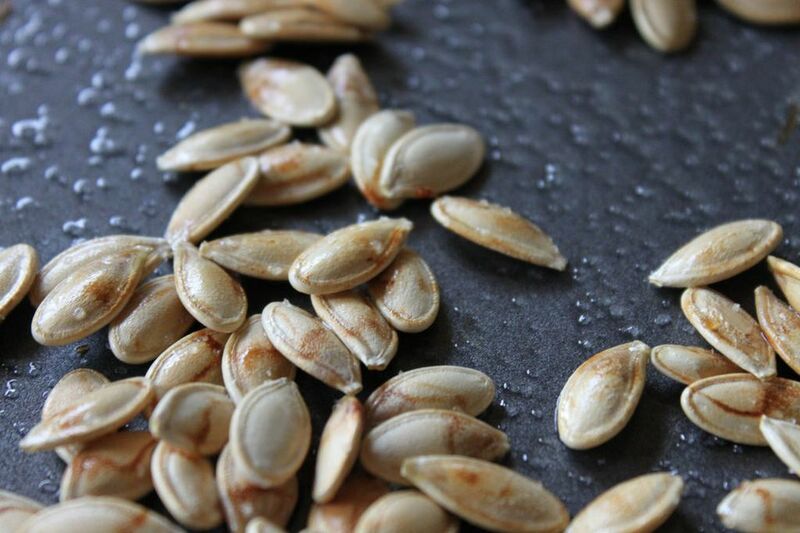 Cool pumpkin seeds before eating or storing. Store in an airtight container at room temperature up to 3 months or refrigerate up to 1 year.